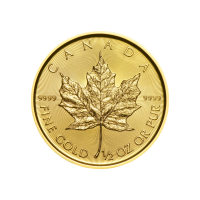 We’ll assure you the internet’s lowest rate, when you order your 1/2 oz 2019 Canadian Maple Leaf gold coin from our online store today. 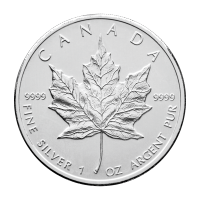 A well recognized symbol of the nation of Canada, the Maple leaf has been the theme of this hugely successful coin series since its inception in 1983. The reverse of this dazzling edition features a single, meticulous render of a Canadian Maple leaf, with every crease and vein beautifully highlighted in 3D, against the fine, micro-engraved radial lines of the rear field. 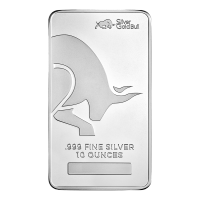 Also on the reverse, the legend of Canada, as well as details of metal content, purity and weight. The obverse field shares the same, light refracting, radial texturing, this time with Elizabeth II’s proud and stylized profile as a feature. Also on the obverse, Elizabeth II’s name and the coin’s unique denominational value. 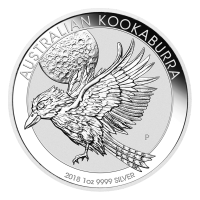 Widely considered to be one of the bullion world’s most beautiful coins, the gold maple boasts various state of the art minting features which double as both aesthetic and security details. 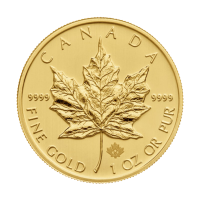 Take home a sound investment and fortify your holdings with a 1/2 oz 2019 Canadian Maple Leaf gold coin today. 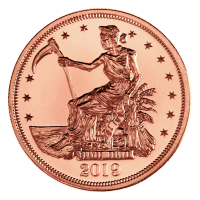 Obverse Effigy of Queen Elizabeth II and the words "Elizabeth II 20 Dollars 2019"
Effigy of Queen Elizabeth II and the words "Elizabeth II 20 Dollars 2019"
1/2 oz 2019 Canadian Maple Leaf Gold Coin We’ll assure you the internet’s lowest rate, when you order your 1/2 oz 2019 Canadian Maple Leaf gold coin from our online store today. 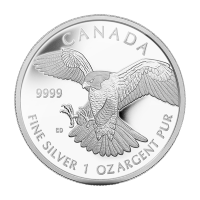 A well recognized symbol of the nation of Canada, the Maple leaf has been the theme of this hugely successful coin series since its inception in 1983. The reverse of this dazzling edition features a single, meticulous render of a Canadian Maple leaf, with every crease and vein beautifully highlighted in 3D, against the fine, micro-engraved radial lines of the rear field. 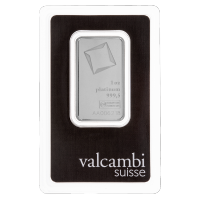 Also on the reverse, the legend of Canada, as well as details of metal content, purity and weight. The obverse field shares the same, light refracting, radial texturing, this time with Elizabeth II’s proud and stylized profile as a feature. Also on the obverse, Elizabeth II’s name and the coin’s unique denominational value. Widely considered to be one of the bullion world’s most beautiful coins, the gold maple boasts various state of the art minting features which double as both aesthetic and security details. 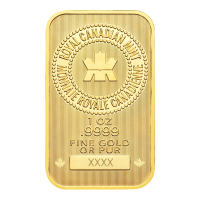 Take home a sound investment and fortify your holdings with a 1/2 oz 2019 Canadian Maple Leaf gold coin today.